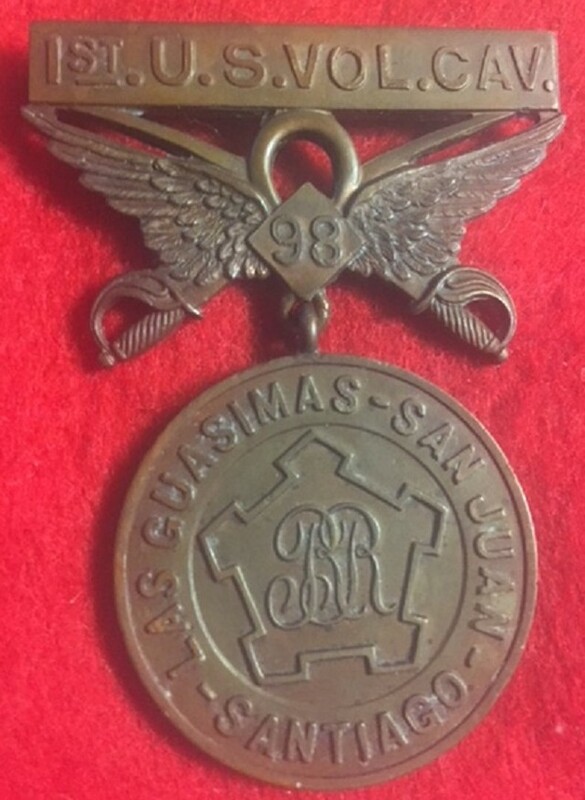 This medal, often thought to be a reunion medal, was created by Theodore Roosevelt for members of the First US Volunteer Cavalry unit he commanded in Cuba, known as “The Rough Riders”. Struck upon the unit's return to the U.S. after serving in Cuba, Roosevelt wrote about it in his memoir The Rough Riders referring to it as "the medal I gave to my men." 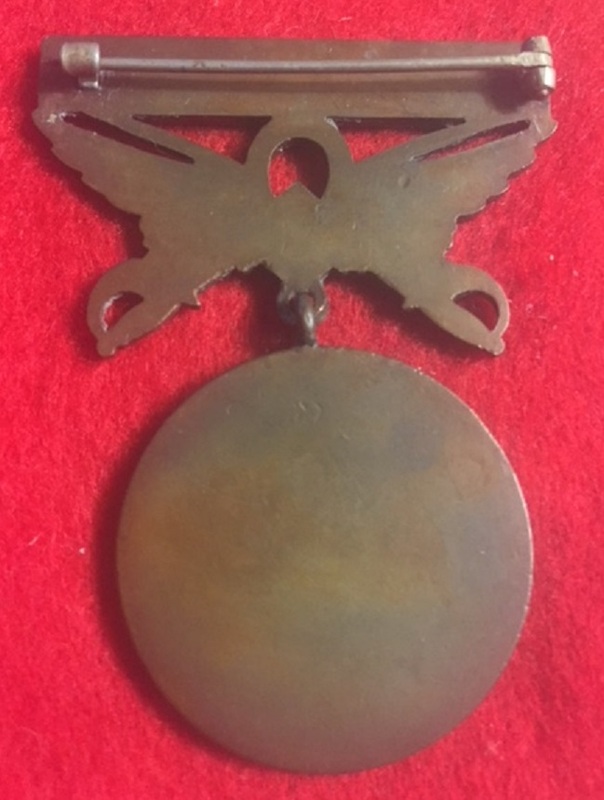 It is a two piece bronze medal with a T pin top bar titled "1ST U.S. VOL. CAV." The 5th Corps badge and letters "RR" appear in the center of the planchet, which notes the battles and campaigns of the unit.